This wood cut shows the ‘breaking wheel‘ as it was used in Germany in the Middle Ages. On October 28, 1589, Rhenish farmer Peter Stumpp was declared guilty of having practized black magic, being a serial killer, a cannibal, and most of all being a Werewolf. It was one of the most lurid and famous werewolf trials of history. 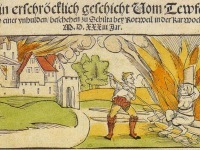 The sources in Peter Stumpp vary, and around 1590 a pamhlet of 16 pages has been published in London as a translation of a German print, however, no copies of the original have survived. The document describes Stumpp’s live and all alleged crimes as well as his trial. Stumpp was born at the village of Epprath near the country-town of Bedburg in the Electorate of Cologne. Unfortunately, his exact birthdate is unknown as the local church registers were destroyed during the Thirty Years’ War. It is believed that the name “Stump” or “Stumpf” may have been given him as a reference to the fact that his left hand had been cut off leaving only a stump, in German “Stumpf” and it was alleged that as the ‘werewolf’ had had its left forepaw cut off, then the same injury proved the guilt of the man. 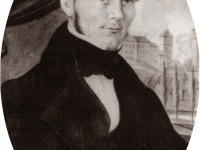 It is assumed that Stumpp was a farmer in his rural community and he possibly was a widower with two children. In 1589 Stumpp faced one of the most famous werewolf trials of history. Apparently, Stumpp was streched on a rack and heavily tortured before confessing to have practiced black magic since he was twelve years old. Stumpp claimed that the Devil had given him a magical belt or girdle, which enabled him to metamorphose into “the likeness of a greedy, devouring wolf, strong and mighty, with eyes great and large, which in the night sparkled like fire, a mouth great and wide, with most sharp and cruel teeth, a huge body, and mighty paws.” Removing the belt, he said, made him transform back to his human form. For twenty-five years, Stumpp had allegedly been an “insatiable bloodsucker” who gorged on the flesh of goats, lambs, and sheep, as well as men, women, and children. 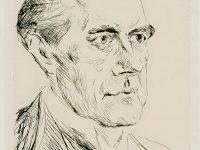 Due to the turture threads, Peter Stumpp confessed to killing and eating fourteen children, two pregnant women, whose fetuses he ripped from their wombs and “ate their hearts panting hot and raw,” which he later described as “dainty morsels.” One of the 14 children Stumpp was accused to have killed was his own son whose brain he was reported to have devoured. 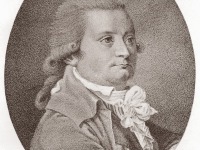 Next to the accusations of being a serial killer as well as cannibal, Stumpp was accused of an incestous relationship with his own daughter, who was then also sentenced to be executed with him. Additionally, Stumpp confessed to having had sexual relations with a succubus which was sent to him by the devil. The execution of Peter Stumpp took place on October 31, 1589 and became known as one of the most brutal recorded executions in history. Apparently, Stumpp was tied to a wheel where “flesh was torn from his body”, in ten places, with red-hot pincers, followed by his arms and legs. Further, his limbs were broken with the blunt side of an axehead to prevent him from returning from the grave, before he was beheaded and burned on a pyre. His daughter and mistress had already been flayed and strangled and were burned along with Stumpp’s body. As a warning against similar behavior, local authorities erected a pole with the torture wheel and the figure of a wolf on it, and at the very top they placed Peter Stumpp’s severed head. At yovisto, you can learn more about The Terror of History: The Witch Hunt in Early Modern Europe by Teofilo Ruiz.